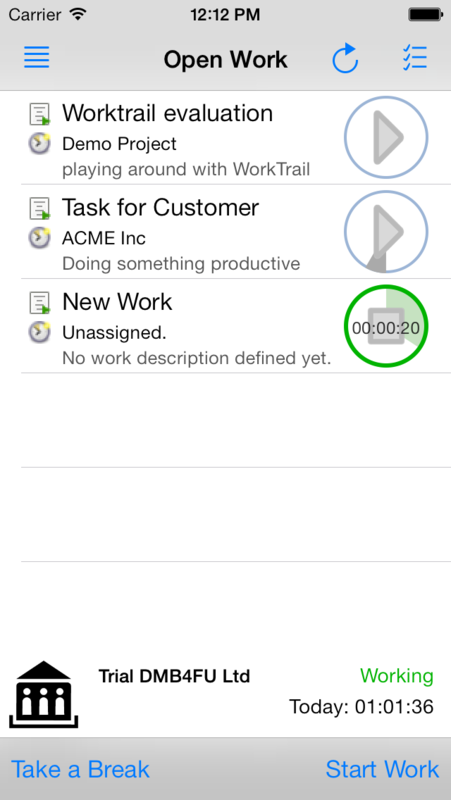 We have just released a new update to our WorkTrail App for iOS. It is the first version which is optimized for iOS 7, including the new flat design. In addition it is compatible with the iPad, so you get a scalable layout. Also while you are tracking your time and you are working on a task the launch icon on your home screen will have a red 'badge' to indicate that you are actively tracking time. This should help reminding you on stopping your work when heading home from work.